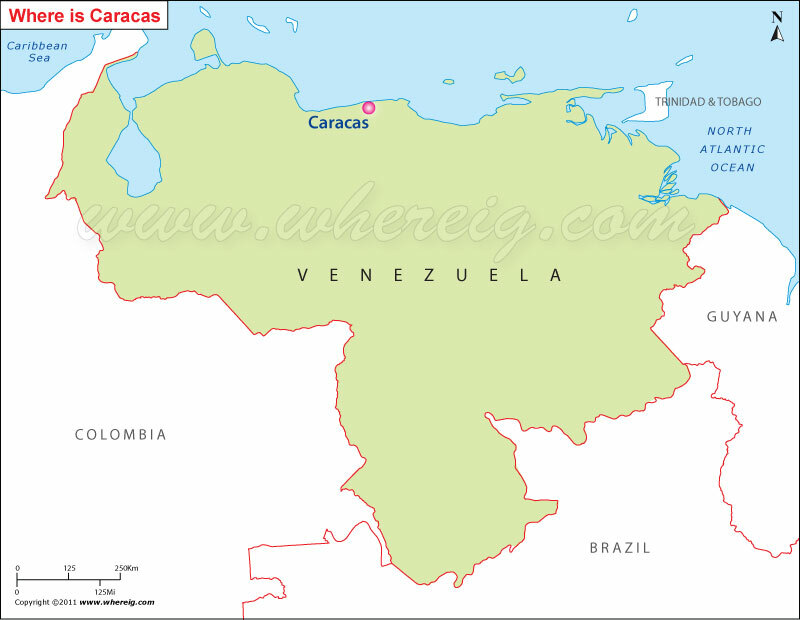 The given Caracas location map shows that Caracas is located at the Atlantic coast in the north region of the country. Caracas is the largest and capital city of Venezuela. Caracas is situated entirely within a valley of the Venezuelan central range. It is separated from the Caribbean coast by an approximately 15 km expanse of El Avila National Park. Furthermore, Caracas is the economic center of the country; businesses located in the city are service companies, banks, and malls. However, largely the economic activity is concentrated in services, excepting some of the industries those have been established in the centre of metropolitan area. For example chemicals, textiles, food, iron, leather, and wood products are the significant one. Besides, there are also rubber and cement factories in the city.